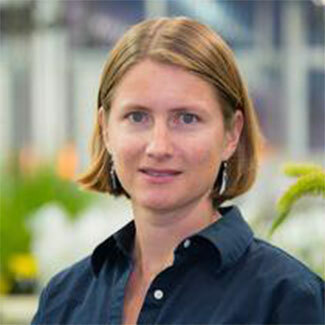 Dr. Becky Bart completed her undergraduate education at Reed College in Portland, Oregon, before pursuing her doctoral research in the Plant Pathology Department at University of California (UC)–Davis. There she worked with Professor Pamela Ronald to elucidate genetic components of the rice innate immune response. Dr. Bart then worked as a postdoctoral scholar in Professor Brian Staskawicz’s laboratory at UC–Berkeley to further understand the molecular and genetic interaction between the important food crop, cassava, and its major bacterial pathogen Xanthomonas axonopodis pv. manihotis. Dr. Bart began her own laboratory at the Donald Danforth Plant Science Center in the Fall of 2013 where she is continuing her work on cassava and expanding her focus to other important Xanthomonas-incited diseases. Dr. Eric JB von Wettberg is an Assistant Professor in the Department of Plant and Soil Science at the University of Vermont. His research program is focused on understanding crop domestication as a means to harness the diversity of crop wild relatives to breed crops with improved climatic resilience and stress tolerance. He received a PhD in Ecology and Evolutionary Biology from Brown University in 2007 and was a NIH National Research Service Award postdoc at the University of California–Davis from 2007 to 2009. Broadly trained in evolution, genetics, ecology, and agroecology, Dr. von Wettberg uses a combination of field, greenhouse common garden, and laboratory approaches. Many crops, like the grain legumes chickpea and lentil, have lost genetic variation as a result of human cultivation and selection. The lack of genetic variation reduces resilience of these crops to expected effects of climate change such as drought and disease. Dr. von Wettberg and his research group are using a new collection of the wild relatives of chickpea to restore genetic variation to cultivated chickpea and to better understand the genetic basis of flowering time and drought tolerance. In addition to altering genetic variation of the crop, domestication likely had far-reaching consequences on the biodiversity of communities in centers of domestication. How changes in plants resulting from domestication altered above- and below-ground plant communities is little explored in communities in centers of domestication, where extended periods of human agricultural activities and modification of “natural” systems have occurred. Harnessing symbiotic microbes such as rhizobia and mycorrhiza can greatly improve sustainability of agricultural systems. Furthermore, protecting crop wild relatives and the systems from which they come is essential to preserving the greatest reservoir of adaptive variation available for agricultural protection. Prof. Ephraim Wadonda Chirwa holds a BS in Social Science (with Distinction) from University of Malawi (1989), an MPhil from the University of Cambridge, UK, (1990), and a PhD from the University of East Anglia, UK (2001). 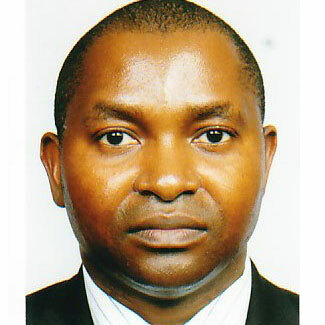 He joined the University of Malawi in January 1993 as a Lecturer in Economics at Chancellor College. In July 1999, he was promoted to the rank of Senior Lecturer in Economics. In July 2002, he was promoted to the rank of Associate Professor in Economics and finally to full Professor of Economics in February 2009. His main teaching subjects were microeconomics, industrial economics, econometrics, development economics, and corporate finance and investment. Since 2016, he is Emeritus Professor of Economics, Department of Economics at Chancellor College where he continues doing collaborative research in the field of agricultural economics. Before joining the University of Malawi, Prof. Chirwa worked for the Reserve Bank of Malawi and the Malawi Confederation of Chambers of Commerce and Industry. 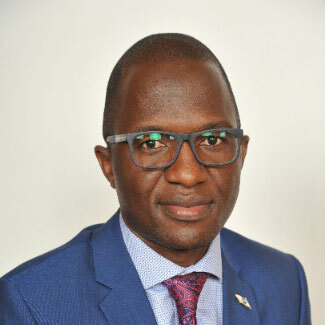 Prof. Chirwa is the Founder and Managing Director of Wadonda Consult Limited, a research consulting firm specializing in data collection services for project or program impact evaluations. 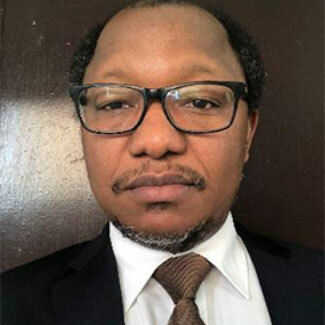 He is also the Director of Research (Africa) in a DFID-funded research project on Agricultural Policy Research in Africa (APRA) with emphasis on smallholder agricultural commercialization and its impacts on poverty reduction, food and nutrition security, employment, and women empowerment. His research interests are in areas of applied microeconomics, industrial economics, applied econometrics, farming households and agricultural systems, policy analysis, privatization, technical efficiency and productivity, competition policy and private sector development, small-scale enterprise development, capital and financial markets, microfinance and rural financial institutions, food security, and labor markets. Prof. Chirwa has published 26 articles in referred journals, including international journals such as the Journal of Industrial Economics, Development Policy Review, Applied Financial Economics, Development Southern Africa, African Development Review, IMF Staff Papers, South African Journal of Economics, Journal of Nutrition, African Journal of Economic Policy, Savings and Development, and African Review of Money Finance and Banking, as well as contributed 13 chapters in refereed books. 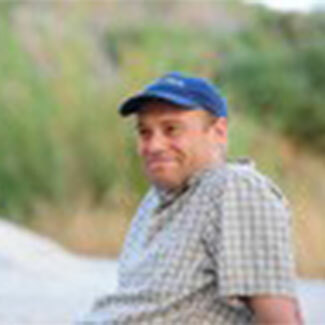 He is the co-author of Agricultural Input Subsidies: The Recent Malawi Experience, published by Oxford University Press. Dr. Abdulrazak Ibrahim is an agricultural biotechnologist with experience and skills in multidisciplinary and multidimensional approach Research for Development (R4D) through hands-on laboratory and field activities, knowledge generation, innovation platforms, holistic capacity development, resource mobilization, partnerships and linkages, value chain–oriented agribusiness incubation, and emerging technologies for agricultural transformation. He has been involved in Agricultural Research and Development (AR4D) in Africa and Brasília, within universities, and centers of research, and engagement with civil society organizations as well as the private sector. He holds a doctoral degree in Molecular Biology from Universidade de Brasília, Brazil, a master’s degree in Plant Biochemistry from Universidade Federal do Ceará, Brazil, and a BS in Biochemistry from Bayero University, Kano, Nigeria. Dr. Ibrahim is a Lecturer in the Department of Biochemistry, Ahmadu Bello University (ABU), Zaria, Nigeria, and Institute for Agricultural Research (IAR) ABU in Zaria. Currently, he is the Capacity Development Officer at the Forum for Agricultural Research in Africa (FARA), where he contributes to the coordination of research on innovation systems, emerging technologies, partnerships, and capacity development. He is experienced in plant tissue culture and genetic transformation, and molecular techniques. Dr. Ibrahim developed and patented a technology for the control of whitefly using RNA interference technology in Embrapa, Brasília, Brazil, where he spent nearly 10 years. He has taught several courses in biology, agricultural and medical biochemistry, plant science, agricultural biotechnology, nutrition, biosafety, and more at undergraduate and postgraduate levels, and supervises research projects at different levels. Dr. Ibrahim is the Assistant Editor-in-Chief of the Nigerian Journal of Biotechnology and has published several articles in peer-reviewed journals; conference papers; policy briefs; technical notes; and advocacy papers on innovation systems, biofortification, biotechnology, science, technology, and innovation. Ms. Cindy Kibombwe is the Director for Trade Promotion and Facilitation at the Malawi Investment and Trade Cente (MITC). Ms. Kibombwe provides leadership, direction, and guidance on trade promotion and facilitation in Malawi, identifies and establishes sectors for export development, and develops export/product development and facilitation strategies. She also implements the National Export Strategy (NES) through promotion of nontraditional (alternative crops to tobacco) and value-added exports. 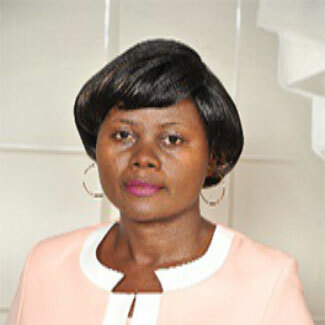 Before her leadership at MITC, Ms. Kibombwe served as the Director of Programs at Civil Society Agriculture Network (CISANET) where she coordinated the implementation of all civil society advocacy programs in the agriculture sector in Malawi. She also co-chaired the ASWAp Institutional Development and Capacity Building and M&E Technical Working Groups, and participated in Sector Working Group meetings and Joint Sector Reviews. Ms. Kibombwe served for 5 years as a Senior Project Economist for the National Capacity Building Project funded by the African Capacity Building Foundation (ACBF). She worked as a Research, Policy Analysis, and Advocacy Specialist at Farmers Union of Malawi (FUM). Ms. Kibombwe operated as a Rural Development Officer for Improving Coordination of ASWAp in the Ministry of Agriculture (ICAM) /Food and Nutrition Joint Task Force Project (an EU-funded project), within the Ministry of Agriculture and Food Security (MoAFS). Dr. Richard Petautchere is the Head of Programs, Research, Monitoring and Learning for the National Smallholder Farmers’ Association of Malawi (NASFAM), Malawi’s largest independent small-scale farmer organization. In this capacity, Dr. Petautchere is responsible for the operational success of NASFAM, ensuring seamless program development and delivery, and quality control and evaluation. As a member of the senior management team, he participates in strategic planning and budgeting initiatives in addition to problem-solving. During the last 15 years, Dr. Petautchere has focused his work on program development and management, value chain development, policy and advocacy, empowerment and resilience, institutional strengthening, market systems, and quality assurance. An economist by training, Dr. Petautchere obtained his PhD from the University of Verona, Italy, and holds MA and BSc degrees in Economics from the University of Malawi. Before joining NASFAM, Dr. Petautchere was a Program Manager with the Malawi Economic Justice Network (MEJN), a coalition of over 100 civil society organizations in Malawi committed to poverty reduction by promoting equitable distribution of economic resources and opportunities. During his period at MEJN, he managed two separate programs: Budget Advocacy and Economic Literacy. Dr. Petautchere also served as a Marketing Executive at Celtel Mw Ltd and an Economist with the Ministry of Economic Planning and Development, Malawi Government. Prof. John Struthers is an experienced academic and economist with over 35 years’ experience working in a variety of universities in the UK and Africa. He has worked in Nigeria and Sierra Leone and carried out research on Ghana and Ethiopia. Prof Struthers’ research on Africa has covered such areas as the effects of oil boom on non-oil sectors such areas as the effects of oil booms on non-oil sectors such as agriculture; inflation; the impact of commodity price volatility especially for commodities such as coffee and cocoa; and, more recently, female entrepreneurship and rural entrepreneurship in Africa. He has extensive publications in a range of economics journals, principally in the field of development economics, especially on “soft” commodities such as coffee and cocoa. He has previously been a Director of a leading Scottish Chamber of Commerce as well as a local Enterprise Trust (both in Renfrewshire). He was also a member of Waterwatch Scotland, a water industry consumer body. Prof. Struthers is a current member of the Westminster Africa Business Group in London. 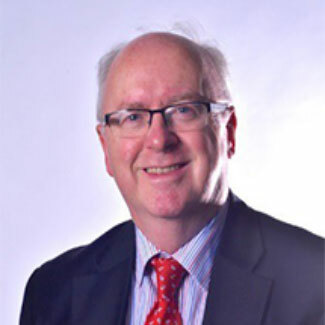 In academia he has been Dean of a Business Faculty at the University of West Scotland (UWS), Head of the Department of Economics and Enterprise, and founding Head of UWS’ Graduate School. In November 2015, he set up CAREED at UWS, a unique research center that specializes in a range of key economic issues across the continent of Africa. For the last 10 or more years Prof. Struthers and other UWS colleagues have been researching the area of commodity price volatility in developing countries. In this context he has collaborated with a number of UN organizations such as the FAO in Rome and UNCTAD in Geneva in the area of commodities research. His publications (some-co-authored) have appeared in the following journals: Development and Change, Journal of Energy and Development, Journal of Economic Studies, Journal of International Development, Oxford Development Studies, and others. Prof. Struthers’ recent research has been funded by the British Academy. During 2015 he was appointed Honorary Consul for Ethiopia in Scotland. He has supervised 18 PhD students to completion, many of whom came from a variety of African countries, and has been external examiner for more than 30 doctoral students at a number of UK universities. He is also Visiting Professor of Economics at the University of Glasgow within the Adam Smith Business School. Prof. Struthers’ current primary area of research is commodities in developing countries. Previous areas included inflation in developing countries (e.g., Ghana); Dutch disease in oil producing countries (e.g., Nigeria); economics of voting, rational expectations, and exchange rate analysis in developing countries. He and his UWS colleagues have also recently commenced researching in the area of female entrepreneurship in developing countries, especially in Africa. In August 2018, he became the Chancellor of Mount Kenya University, one of the largest private universities in East Africa. His most recent publication is a co-edited book (with A. Adewole) entitled Logistics and Global Value Chains in Africa: Impact on Trade and Development, published in August 2018 by Palgrave-Macmillan in London. He has also carried out various editorial and refereeing roles for a range of academic journals including Journal of International Development, Journal of Development Studies, Scottish Journal of Political Economy, Journal of Developing Areas, Journal of African Economies, and others. Prof. Struthers reviews grant applications for the Carnegie Trust for Research Incentives Grants as well as a number of other European research grant awarding bodies. He is also Editor of the International Journal of Social Business and Lead Editor and a Founding Editor of the Journal of Social Business.